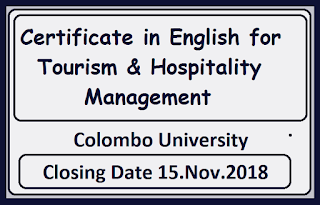 Applications are invited from those who are interested in following the Certificate Course in English for Tourism & Hospitality Management (CETHM) for 2018.
one year work experience in the tourism sector. Those who are interested in working for the tourism sector. Those already employed in the tourism sector. 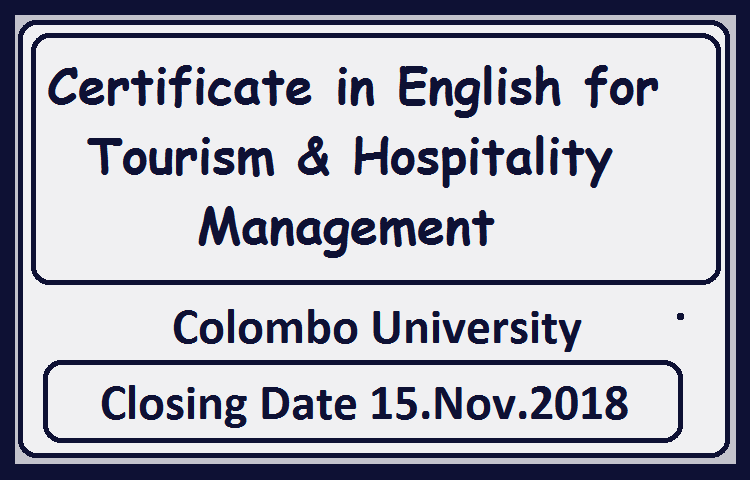 To develop communication skills in English of tourism professionals in order to communicate effectively in an English speaking work environment of the tourism sector. 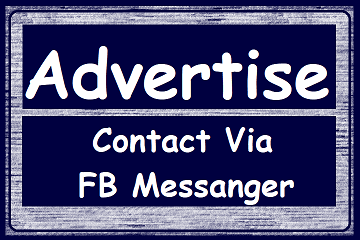 Duration: Six months (90 contact hours: a four - hour session on Saturdays). A selection test will be held on 17 November 2018. Pay Rs. 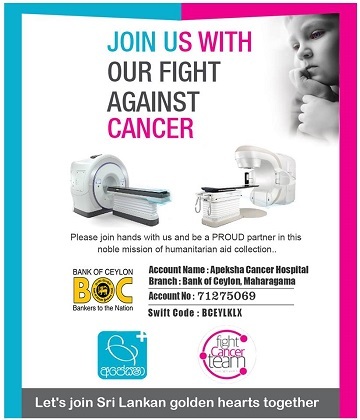 1000/= to the collection number of the University of Colombo A/C NO: 304026100002 at any branch of the People’s Bank. Submit the copy of the bank receipt (for 1000/-) to the Department of English Language Teaching (2nd Floor- Faculty of Arts), University of Colombo with the name of the applicant written clearly on the reverse of the receipt. 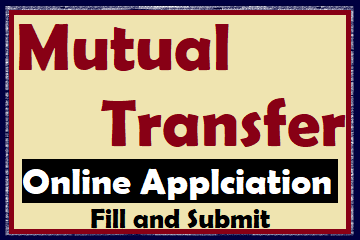 Collect the application forms and a brochure between 9.00 am – 4.00pm from 1st Oct. to 27. 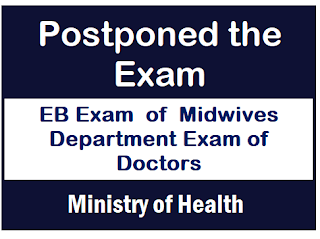 Oct. 2018 (except on public holidays & Sundays) at the Department of English Language Teaching. Department of English Language Teaching (DELT).